Being convicted of a crime can impact a person’s life in many different ways. They may be unable to work in certain occupations, especially involving children, or they could find it difficult to get a visa to travel or emigrate to certain countries. Having a criminal record can make things difficult enough without having to face prejudice from other people. Due to the sensitivity of criminal records and information about previous convictions it is usually very difficult to find out whether or not someone has been convicted of a crime unless they inform you themselves. Criminal records are subject to strict privacy laws. Under the Privacy Act 1988, criminal records are classified as sensitive information and can only be accessed in certain circumstances. If you want to obtain a copy of your own criminal record, you can apply for one through the NSW Police or the Australian Federal Police (AFP). Some common reasons why you may need to show that you haven’t been convicted of a crime include for a job application, if you want to volunteer or work with young people and children, or if you are applying for a visa. Government agencies that collect personal information about people, including criminal records, must abide by certain principles when obtaining, storing, using and accessing the information. This is to make sure that personal information that is considered sensitive, or which could be used to discriminate against a person isn’t released. Can I find out someone else’s criminal record? Due to privacy concerns, you can only request a copy of your own criminal record, you are not allowed to access anyone else’s if you want to find out whether they have been convicted of a crime. Police can access criminal records of suspects when they are investigating a crime, as long as it is for legitimate purposes. 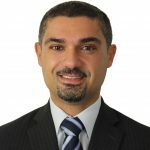 The recently implemented NSW consorting laws have attracted criticism and raised concerns that they may encourage a breach in the laws governing giving out sensitive information about peoples’ prior convictions. Under the new laws, convicted offenders who have ongoing contact with other convicted offenders can receive a warning, which if ignored can lead to a criminal conviction. This warning discloses that a person they have been in contact with has a previous conviction without their consent. Are all crimes recorded on a person’s criminal record? If you have been convicted of a criminal offence in the past it won’t always appear on your record and you’re not always required to declare it. Some offences may be considered spent after a certain period of time, which means that you are no longer required to declare them when asked, and if you were convicted as a minor, it is possible that the offence will be removed from your criminal record later on. Any convictions that have been overturned or pardoned will also be taken off a person’s criminal record. 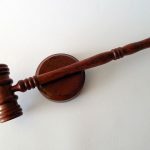 Generally speaking, convictions for serious offences including drug supply, assaults causing bodily harm and sexual offences will stay on a person’s criminal record permanently unless they are later expunged. 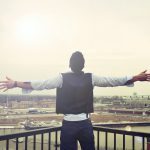 I’m thinking about employing someone – can I ask to see their criminal record? If you are hiring employees in certain occupations you may be able to request a criminal records check. 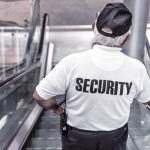 Childcare workers, healthcare workers in some sectors of the community, and security guards are common occupations where it’s important for employers to know how to find out if someone has been convicted of a crime. Not every employer is entitled to ask for a criminal records check, and if you do ask for criminal records information it’s important that it’s not used to discriminate against candidates unfairly. If an employee is terminated on the grounds of not disclosing previous criminal offences, they may be eligible for compensation if having a clean criminal record is not a requirement of the job (for example for security clearance or to work with children) and they were not informed of the need for a clean criminal record during their interview. 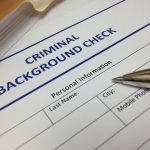 Potential employers are not able to obtain a criminal record check on behalf of candidates – the candidates will need to get it themselves and provide it to you. 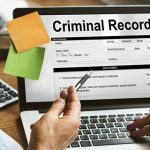 How can I get a copy of my own criminal record? If you need to obtain a criminal record check for any reason you will need to apply online. The criminal records section of the NSW Police Force has the information you will need to fill out and lodge your application. Working with children checks for employment are different from criminal records checks and will need to be applied for through the office of the Children’s Guardian. Once you have received your police criminal records check, if you disagree with any of the information listed, you can fill out a Disputing Criminal Records Information form with the details, and request an assessment of the information. Having a criminal record can impact your life in a number of ways so it’s important that any information is accurate and up-to-date, or you could be unfairly excluded from work and travel opportunities.